openSUSE News: SUSE Studio Contest – you have until the end of this month! We are pleased to announce our 140 issue of the openSUSE Weekly News. "For those who didn’t know yet, about two weeks ago Novell introduced SUSE Gallery.com where you can submit your SUSE Studio Appliances for the world to see and download. Over the last year, the 400.000 appliances have have already been downloaded 3 million times and now they are available from the Gallery that number will surely skyrocket. Together with the launch Novell started a contest with a grand prize of $10.000! Creative minds have until the end of this month to submit their crazy/cool/unique/useful appliance to SUSE Gallery.com and enter the contest. So those looking for Fame and Fortune, enter your software appliance into “The Disters” contest and see how you stack up to the rest!" "Here is the news that a lot of you have been waiting for! The new wikis (en.opensuse.org, languages.opensuse.org, and dewiki.opensuse.org) have been switched to the new Lucene search engine. The legacy wikis are still running the old search, but they will start using Lucene as they are migrated to the new wiki system. So what should users expect with the new search?" "The update to latest qt, kde and python at the same time was a bit too much, but the FTP tree building atm should have it all, in any case watch out for problems when you DUP. Next step is kernel 2.6.36-rc3 and a new round of Xorg updates (including xeyes 1.1!)" 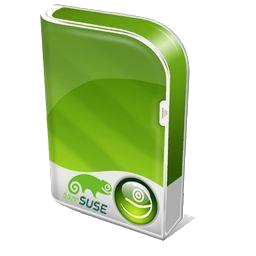 "SUSE Studio offers nice user interface for configuring software appliances with many options. But what if you already had a configuration ready — for example a carefully tuned AutoYaST profile which your company uses for installing workstations? Or a KIWI configuration of your appliance exported from Studio (so that you could build that appliance on your machine) which you modified locally? Until now, there was no easy way how to apply it in Studio." "This week's featured appliance is BrowserBox created by Jacob. It is a great appliance for web developers and people who need to test websites in different browsers." "From a small chit chat on IRC the other day with Bryen and Sirko somehow I ended up with the task to providing an article about openSUSE Build Service. I have to say Sirko is awesome in Guerrilla Marketing, a cool proof could be the way how he got me into this. Anyway… though I’m not a journalist, every article should start with some basic research…"
The Build Service Statistics can found at http://build.opensuse.org. So the first thing why it did not work for me was that strigi+nepomuk never finished to index my files because strigi 0.7.2 crashes while it indexes several filetypes such as email, flac or rpms. Having a look at strigi’s website the project seemed dead. No news since 2008. This is a depressing first impression. Having a look at the SF project page continues with this, i.e. the latest available tarball is version 0.6.4 and the docs point to KDE’s playground svn repo if one wants to get strigi. The latter obviously fails because strigi is part of kdesupport." "Apple has removed the restrictions that were introduced earlier this year (the famous section 3.3.1). Although Apple had not blocked any MonoTouch applications since the new rules were introduced, many developers either took a wait-and-see approach, or switched their development. We never stopped working on MonoTouch, just yesterday we released MonoTouch support for the new iOS 4.1 APIs. We did this within eight hours of the new operating system going public." "During the last months I've kept working (with/on) Mono, but not working for Novell anymore. * mono-api-info command now can output ABI instead of API if you append the flag --abi. It has been useful for us in LindenLab while working on binary serialization compatibility between versions (already upstream!, so will be available in Mono v2.8, even with a new man page). If you ever wondered why your .NET code is no longer capable of deserializing some old binary object you had in your servers, instead of fixing the problem in a case-by-case basis, you can now see the whole picture by just diffing the output of mono-api-info --abi from your current and old codebase! A small TODO that I haven't completed yet is to deal with automatic properties (because we still don't use them) so that would be an exercise for the reader! * Fix for upstream Mono to act as .NET in regards to Version Tolerant Serialization, a patch to which I have just added a lot more unit tests (soon to be pushed hopefully)." "Please provide a static build zypper for download in case a distribution upgrade failed." "Smolt is a project that is picking stats about openSUSE installs. Currently smolt-gui developed upstream is written in Qt and it difficult to add this client to GNOME installation of openSUSE. So it's required to have a GNOME integration to ship on the default install. It's important to have a GTK client similar to smolt-gui and ksmolt (which is the notification service launched on KDE)." "Dracut is suppose to be a replacement for the old initrd tools like mkinitrd. From the project description, dracut is an initramfs infrastructure. Unlike previous initramfs systems, Dracut aims to have as little as possible hard-coded into the initramfs. It contains specific configuration files for init drivers and includes plymouth support. Dracut advantage seems to be a modern replacement to generate initrd and it's suppose to be easy to use/manage." "Gnome is lacking a easy to impliment Desktop Wallpaper Slideshow. KDE offers an easy option of just selecting a folder. Couldn't this be done in gnome?" "YaST is able to create a kerberos server (with LDAP backend), and configure a client to use kerberos as an authentication backend. However, there is no obvious way to create principals for users or keytab for services through YaST. (...)"
"Recently, the repository KDE:Community was taken offline and the packages in there were apparently distributed into other repos. As a user of openSUSE, the onyl way I discovered this was via a constant error in my updater applet that told me it was unavailable. Then I went to the forums with the error and was informed why. I was also told that there had been advance notice on some mailing list (a list that people who download and install openSUSE will nto be a member of automatically). This is a very poor way of handling this for users of openSUSE! (...)"
"It's not usually included in reviews of OS's but the community behind an OS is actually pretty important. Especially since most people needing help on linux will not be able to just call a "geek squad" to fix things. openSUSE has a strong community but most people might not know to go to the web forums, so I think it would be VERY powerful to build it in to the OS. (...)"
We will still go on"
I'm not on the images (because I was holding the camera :-). The shot was taken at the very beginning (not yet many attending people), because when the public come I have no more time to shoot :-))"
"Videos and presentations from LinuxCon and the Embedded Linux Conference provide information about the development status of Btrfs and about problems between kernel hackers and the makers of Android. 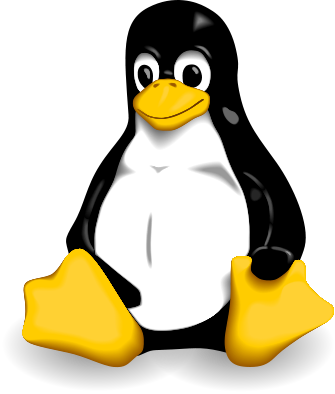 With the latest stable kernels, Linux 2.6.34 has reached the end of its life; furthermore, there are signs that maintenance of 2.4 and 2.6.27 will soon be discontinued or reduced." "Hello, people, and welcome! In this week’s news…." "In this months kernel column John Masters discusses another eventful kernel cycle, not to mention the latest round of Linus Torvald (justified?) rants, the Kernel Summit 2010 and some pretty intense penguin-on-penguin action… "
"Various changes improve the performance and functionality of drivers for graphics chips in the latest Intel mobile processors. Nouveau now supports the Fermi chips used on recent GeForce graphics cards. The Radeon driver in 2.6.36 adds support for underscan, HyperZ and tiling. Extensions for the KDB debugger and Intel's KMS driver allow new debugging functionality." "If you don’t have a zoom lens or you’d like to manipulate a certain image in this style then this tutorial for GIMP should help you achieve a similar effect! (...)"
"In this article by Allan Brito, author of Blender 3D 2.9: Architecture, Buildings, and Scenery, we will take the realism of our scenes to a higher level using textures. With textures, the "magic" really happens! There are basically two types of textures, which are procedural and non-procedural textures. For us, the bitmap textures will be used most often, to allow us to create scenes with more realism. (...)"
"Firefox, Chrome, and other browsers do an acceptable job of downloading a single file of reasonable size. But I don't like to trust a browser to grab ISO images and other files that are hundreds of megabytes, or larger. For that I prefer to turn to wget. You'll find that using wget provides some significant advantages over grabbing files with your browser. (...)"
"I guess quite a few joomla administrators regularly run into batch conversion issues. You have an entire folder of files in the one format, and now you need the same files, but in another format. Today I ran into a batch conversion issue in a surprising way. My wife came home with a "Made in China" MD-602 set of speakers that accepts input from a mobile phone, a phone memory, or a USB memory stick. She wanted to play an audio CD on the device, by copying the songs to a USB memory stick. So, I grabbed the audio CD, and I saw that the tracks on an audio CD are supposedly encoded in .wav format. On the device's packaging, it lists the audio formats that the device accepts as input: .mp3 and .mp4.(...)" "Having gone through some arduous work on the previous tutorial, this one will be a little gentler. The task we’ve set ourselves this time is to write another game, a trivia game." "Porting legacy Perl to Python can be a daunting task. In this article, learn some of the theory behind dealing with legacy code, including what not to do." Gaming on openSUSE, HIIIYAAAAH!These days gaming on Linux is a completely different story, we now have everything from Minesweeper (KMines) to first-person shooters and flight simulators. While the gaming experience is far from perfect on the Linux Desktop, it's miles ahead of where it was just four years ago." "Savin Alex has been busy working on improving kiwi-ltsp lately. The basic idea behind the new development is easier management of multiple LTSP images that can be served over NBD or AOE. Earlier Shrenik Bhura had added multiple image support for AOE, now it is also supported when using NBD. For example, with very powerful hardware available, images of KDE, GNOME desktops or any other profile of your choice can be served as LTSP_FATCLIENT, this will enable images to use resources on the clients’ local hardware instead of traditional LTSP way of running all the client sessions on the server. Advantage of this way is making use of local hardware resources and central management of OS deployed in the entire network. LTSP can also be clustered to load balance and in case one of the servers fail." OMG!SUSE! team: QOTD: How do you surf on openSUSE? "A couple of weeks ago the new-fangled openSUSE Community Manager Jos Poortvlient emailed me about some quirk with the OMG! SUSE! site he noticed using Konqueror, apparently his web browser of choice. This got me thinking about all the varying ways openSUSE users might be browser the web, given the wide variety of desktop environments supported, there are a truck-full of web browsers you can install on your Geeko-powered machine." "When I first started working on OMG! SUSE! the openSUSE project didn't have a community manager filling the void left by Joe Brockenmeier (a.k.a Zonker), meaning I didn't have anybody to pester with all sorts of silly questions. Fortunately, Jos Poortvliet has stepped up as the community manager and even went so far as to volunteer to answer some questions for me! I figure I'll call this segment the "Geeko Gist" which I'll be doing every now and chat with an openSUSE project member about what's going on. Without further ado, let's get to it." "The OP has no offer to save image as, when right clicking an image in Firefox." "Some early feedback on the latest Factory release of the next openSUSE version 11.4 - Major issues in KDE it seems." Audio CD's not playing Fluently. "Although an issue is reported here, I can find no problems on any of my installs, at least not once I have done the multi-media trick." "OP wants to Upgrade and is offered some advice. Differing views are expressed giving the user some options." "The Open Source Awards is an annual online event held by Packt Publishing to distinguish excellence among Open Source projects. Now in its fifth year, the Award, formerly known as the Open Source Content Management System (CMS) Award, is designed to encourage, support, recognize and reward not only CMSes but a wider range of Open Source projects. (...)"
"The GNU Project Debugger release team has published the second point update to version 7.0 of its standard debugger for the GNU software system. The GDB debugger supports a wide variety of programming languages, including Ada, C, C++, Objective-C, FreePascal and Fortran, and, in the new release, adds support for the D programming language. (...)"
"The previous article in this series on Linux security described different userspace protection mechanisms that can be applied to protect binaries on a Linux system. Unsurprisingly, without additional kernel settings and protections most of the previously described mechanisms cannot be utilised to their full extent. This article will therefore focus on kernel features that have a direct impact on security of running binaries. Specific security frameworks such as SELinux, Grsecurity RBAC, AppArmor and others will not be discussed here although they may feature in future articles. (...)"
"This is my story about searching for Japanese pop music under a free culture license. It’s a little tricky, because the best sites for this are of course, in Japan, and not well advertised on the English web. I discovered how to use Python’s XMLRPC library to run searches using the web API for a Japanese music sharing site called “Wacca”. The results were very interesting — I found some of what I was looking for, though not all. (...)"
"It doesn't give me any pleasure in saying this, but the evidence is overwhelming that Linux is not huge on the desktop. Saying it has maybe 1% of the desktop marketshare is probably not realistic, but not as far off the mark as we'd like. Measuring Linux market share is not an easy task, especially not on the desktop. Most Linux users don't buy Linux pre-loaded, they download Ubuntu, Fedora, Debian, openSUSE, or another distro from a series of mirrors, BitTorrents, or share CDs. No matter how you count up, though, the total number is pretty small compared to the number of desktops in use. (...)"
"In the beginning, there were a few different distributions. From a handful came hundreds. We are currently living with several hundreds. Many say that this is a bad thing. Many claim that the myriad offerings confuse people. Many claim that these distributions are often redundant. What's the deal? I have often talked about the lack of innovation in many distributions. The fact that people respin someone else's stuff and call it their own is somewhat unavoidable. It's going to happen. That aside, plurality is good. (...)"
"My name is John Dukovich. I'm with Green Moon Solutions, a small technology company in the Washington, DC, area. I've been working with Microsoft Office applications, basically since they came out, and I'm a heavy user of Excel macros and Visual Basic for Applications language. I do quite a few applications for clients and use macros in ways that a lot of people don't." This page was last modified on 15 September 2010, at 14:00.